Application My Nine provides the fastest possible way to access nine most used contacts. 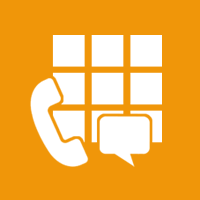 You can immediately call or send sms message to the chosen contact – no more lengthy searching in endless contact list! 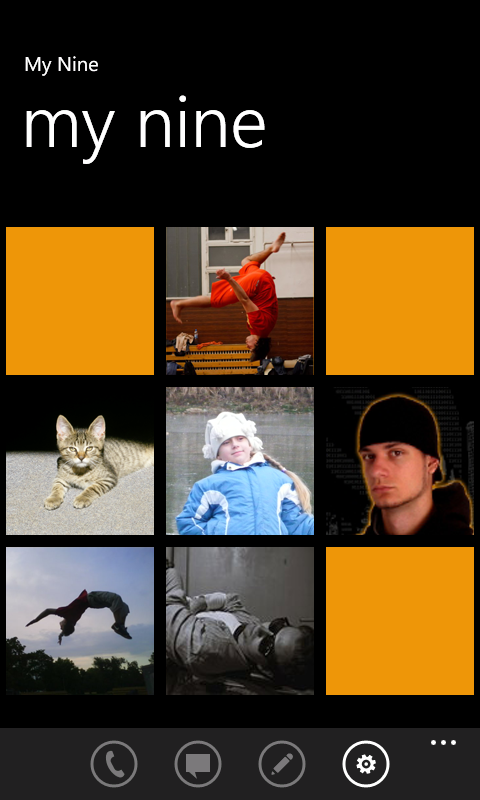 Each of 9 tiles stands for one contact, which is represented by its photo and optionally by name or phone number. 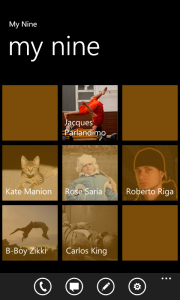 Action can be chosen from menu or by double-tapping the contact tile. 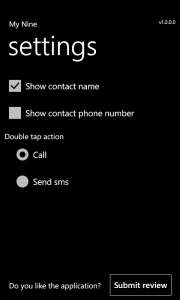 Primary action for tapping (Call or Send sms message) can be chosen in application settings. 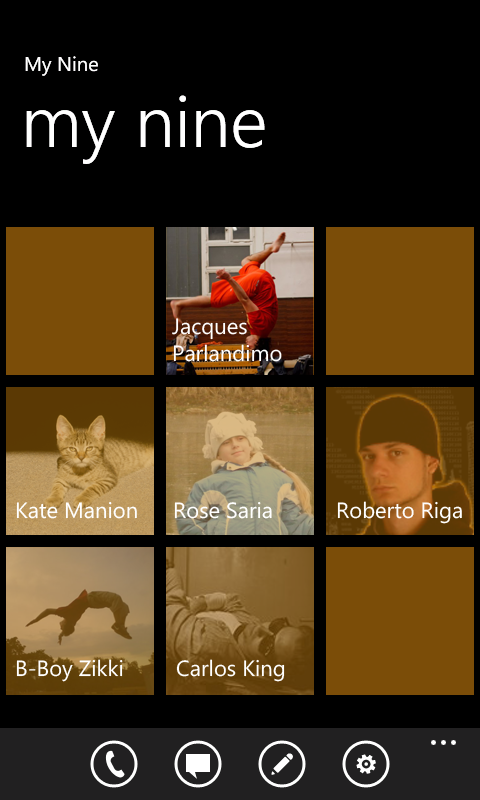 Due to a Windows Phone security, the action must be also confirmed in system popup. I have written the application in the the dawn of Windows Phones. The Windows Phone 7.5 lacked any usable quick dialing method and there was no free and fast application for download, so I had to make one. 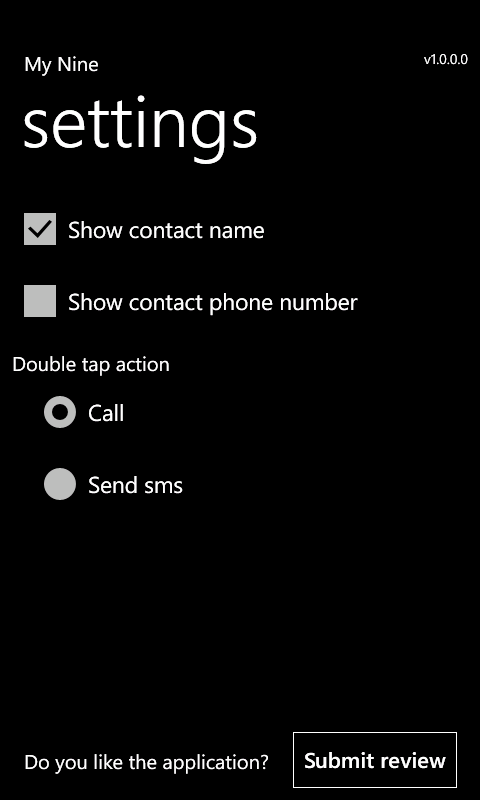 Since then I’m using it every single day, even when there is finally built in support for quick dial in form of another contact list in WP 8. I’m sure that I’m not the only one, which makes me happy.